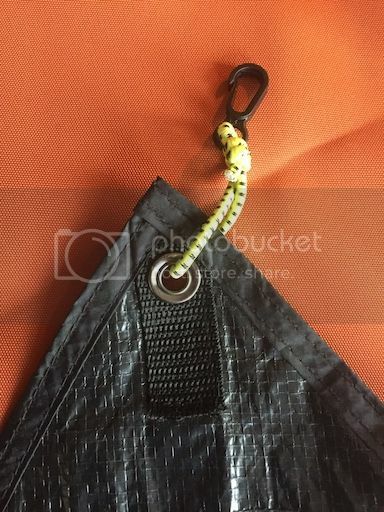 Yukon Outfitters has a small diamond shaped tarp they offer on their site called the Walkabout Rainfly. 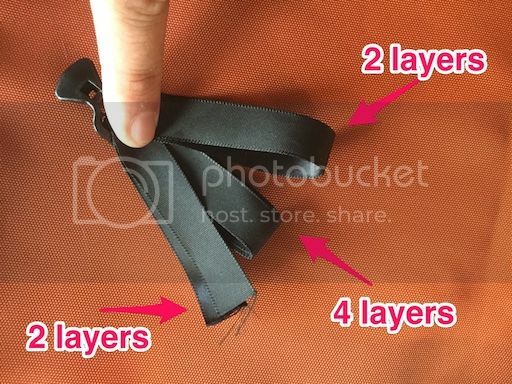 It's a good little tarp, but what makes it great is that it's featured on Woot from time to time for $20. 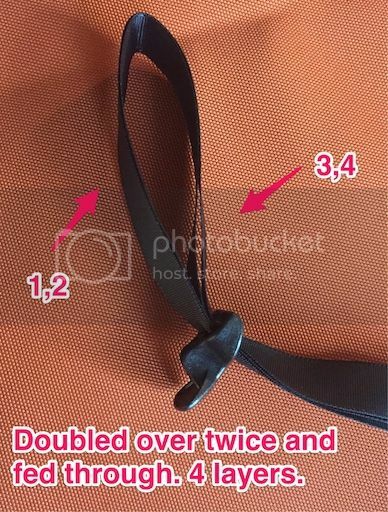 If you've got one of these, here's a quick modification I made to give myself a little more piece of mind and to make setup a little quicker. 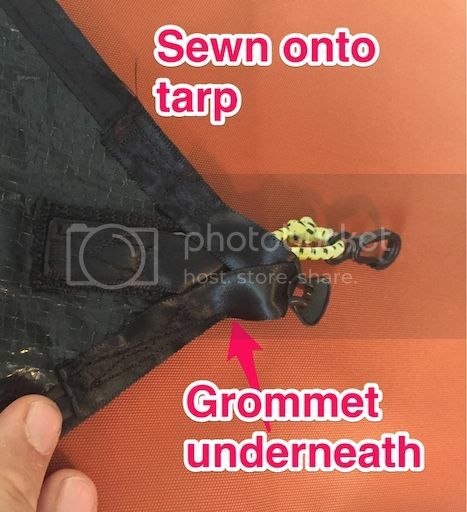 It's a diamond shaped tarp with a grommet at each corner. 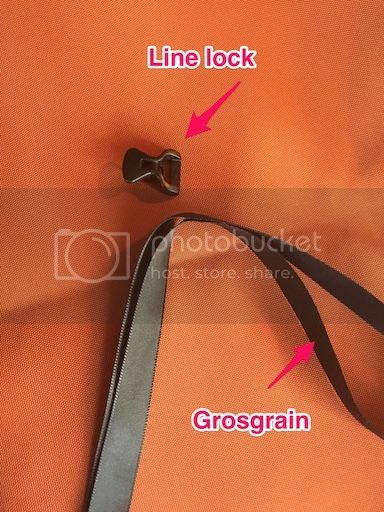 Grommet's tend to be a common failure point so to reinforce the ridgeline try this idea. Disregard the bungee cord, that was for another idea that didn't pan out.